Well T-Mobile no doubt always has a good line of android devices, mostly because they only support Android and a few windows phones. But, today they made their customers happy announcing they will be carrying to more Honeycomb 3.2 tablets, and 4G HSPA+ radios on the inside. 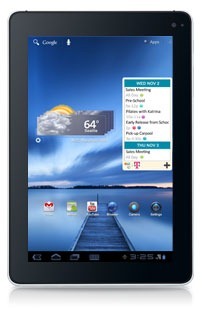 The Samsung Galaxy Tab not only is a beautiful looking tablet, this thing packs a punch. 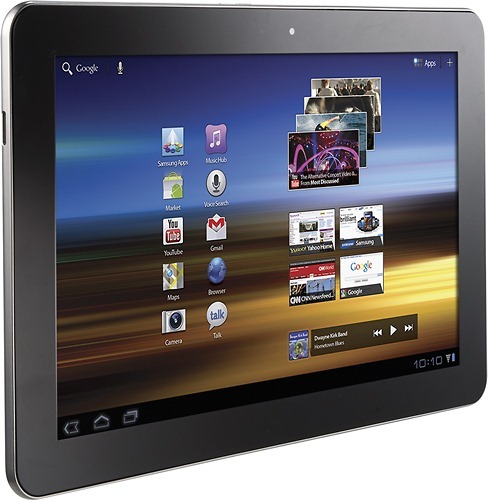 It comes with a 10.1 inch display, a 1GHz dual-core Tegra 2 processor, 1GB of RAM, and Android 3.2 Honeycomb. The tablet will be capable of 42mbps speeds on T-Mobile’s HSPA+ network. The second tablet is a little more exciting because it hasn’t been released yet it is the T-Mobile Springboard. The tablets packs a 7 inch display, a 1.2GHz dual-core processor, 5 megapixel rear camera that is capable of shooting 1080p HD video, a 1.3 megapixel front-facing camera and a standard SD card slot with support for 32GB cards. No talk about the pricing yet but we can be sure to see these in time for the holiday season. "Our customers expect the ability to access and share content on the go at 4G speeds, so we’ve created a 4G tablet portfolio of 7-, 9- and 10-inch tablets with their busy, highly mobile lives in mind," said Jeremy Korst, vice president of mobile broadband and emerging devices, T-Mobile USA. "The T-Mobile SpringBoard with Google and Samsung Galaxy Tab 10.1 are the perfect evolution of T-Mobile’s tablet portfolio, providing consumers with the right choice of tablet to easily look up a recipe at the grocery store, update social media sites on the bus or stream movies and music in the back seat of the car." Based in Bellevue, Wash., T-Mobile USA, Inc. is the U.S. wireless operation of Deutsche Telekom AG. By the end of the second quarter of 2011, approximately 128 million mobile customers were served by the mobile communication segments of the Deutsche Telekom group — 33.6 million by T-Mobile USA — all via a common technology platform based on GSM and UMTS and additionally HSPA+ 21/HSPA+ 42. T-Mobile USA’s wireless products and services help empower people to connect to those who matter most. Multiple independent research studies continue to rank T-Mobile USA among the highest in numerous regions throughout the U.S. in wireless customer care and call quality. For more information, please visit http://www.T-Mobile.com. T-Mobile is a federally registered trademark of Deutsche Telekom AG. For further information on Deutsche Telekom, please visit www.telekom.de/investor-relations.